Buy Rumney here and save money versus purchasing from within our app via Apple or Google. It’s exactly the same guidebook, but offered at a lower price on rakkup.com. Rumney is the premier sport climbing venue in the Northeast. Located at the southwestern corner of the White Mountain National Forest in New Hampshire, the crags are scattered across the south-facing slopes of Rattlesnake Mountain. 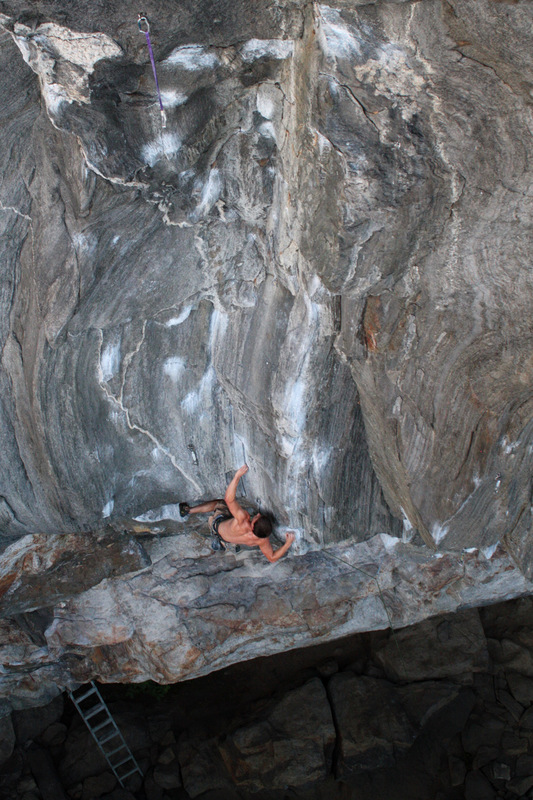 With a wide selection of all-bolted routes from 5.2 to 5.15, there are challenges for climbers of any ability. But it is more than the bolts that make Rumney so special. Each of the cliffs has a distinctive feel, making it seem like many different areas in one. The predominant rock type –schist – demands a skillfull blend of power and technique. A scenic setting above the Baker River, a great swimming hole, and stable access all contribute to the area’s popularity. This is the fifth guidebook to Rumney, and the area has undergone incredible changes over that time. Gone are the days of having the crags to yourself –and of free parking. The Forest Service has used the fees to upgrade the parking lots, construct toilet facilities, and improve trails accessing the cliffs. By paying the parking fee and obeying all closures, climbers can demonstrate that we are a responsible user group, and ensure future access for all of us. Kevin Ogden on Whip Tide 5.12b. 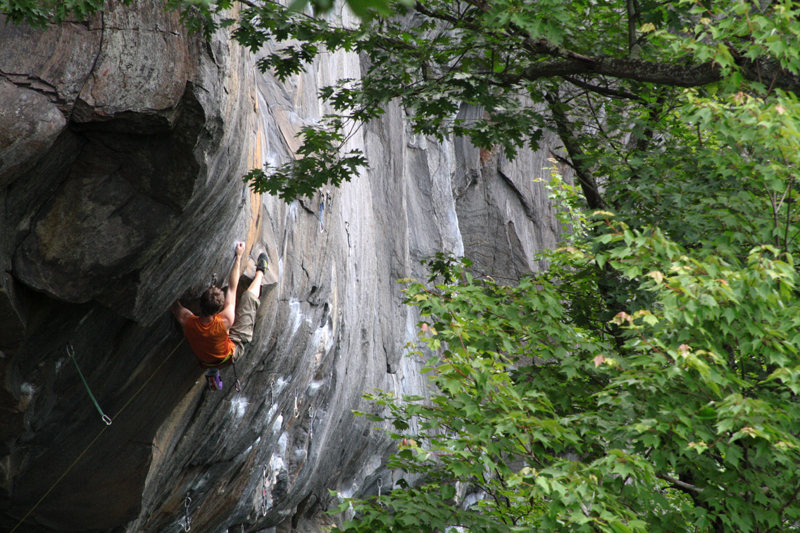 Climbers have helped to make Rumney what it is today. In 1993, access to the crags was posted by a private landowner. The Access Fund and the Rumney Climber’s Association (RCA) bought the land, and then sold it to the Forest Service. 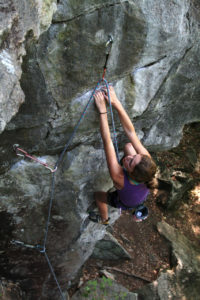 Most recently, the RCA has purchased the last privately owned area of cliffs – the Northwest Crags – through their “final frontier” initiative. A new parking lot has been constructed at the Buffalo Pit, and a new trail was built in order to provide additional access to the Northwest Crags. Please consider joining both the Access Fund and the Rumney Climber’s Association in order to help preserve the crags that we love so much. Learn more about Ward Smith here.